This sleek DS-2 watch by Swiss watchmaker Certina is crafted in stainless steel. 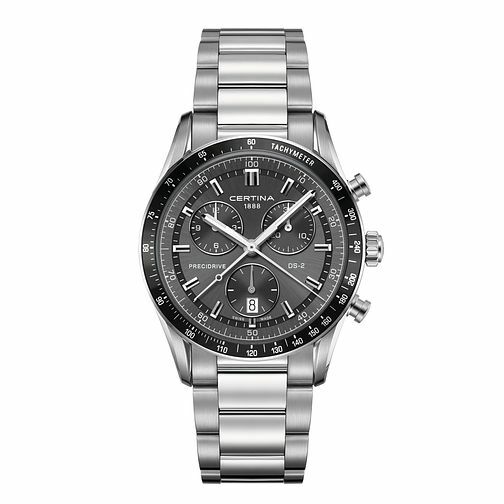 The dark grey chronograph dial is designed with date window, silver tone hour markers and hands. Powered by quartz movement, this is a handsome watch for the modern man.